Balletworkout | Am I good enough for ballet? Am I good enough for ballet? 23 apr Am I good enough for ballet? I have noticed that a lot of women are a bit nervous when coming to class. I can imagine that a lot of women have the impression that ballet classes are very strict, difficult and are only for those with a certain age, talent and flexibility. This image is also supported by popular media and movies, which sometimes tend to be too dramatic and unrealistic. However the fear to join the Ballet Workout is absolutely unnecessary. 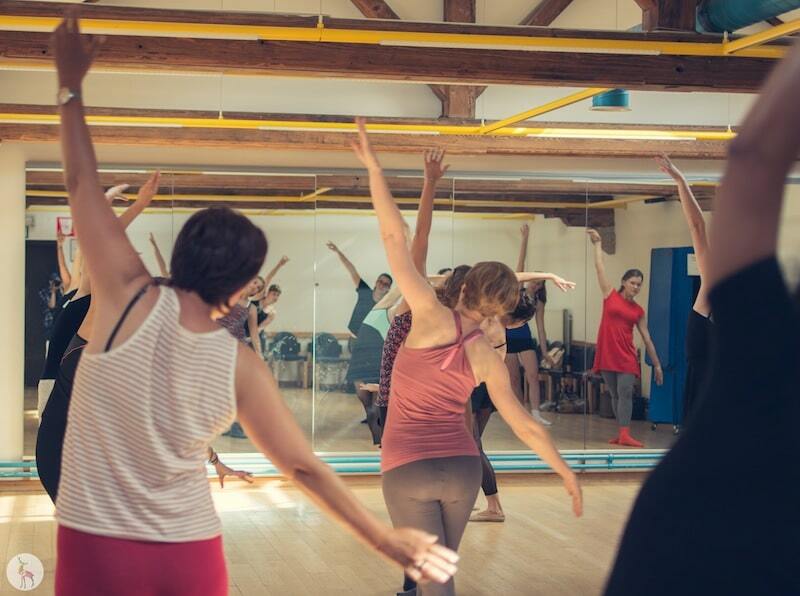 Almost every woman who comes to the class and whom I meet for the first time says: “but I’m not good at this; “I’m too old”; “I do not have any dancing experience” and ask me “Are these classes really for everyone?”. I always reassure them that it’s completely fine to not have any experience. It really doesn’t require any experience and you learn everything on the spot. The class is made for people without experience. We have women from all ages and weight groups. It’s about loving, enjoying this beautiful art form and feeling good. I would like you to learn a lot about and to explore ballet, and to have fun while doing it. I don’t expect you to become a prima ballerina. I do expect you to be on time, behave in a respectful manners towards the teacher and other participants and dress appropriately. But you don’t have to be flexible, talented or in great shape. That’s what we are going to work on during the Ballet Workout. Don’t let your fears or doubts hold you back from joining and experiencing this beautiful art! You only live once and ballet is definitely worth a try! Looking forward to see you in class! Toffe balletschool, professioneel👌 goed georganiseerd, aangename lerares. Het is een aanrader! Были сегодня в первый раз. Моей 3-х летней дочери очень понравилось. Отличная организация. Зал, преподаватель и организатор все на высоком уровне. Это не первый мой опыт посещения балетных и танцевальных школ в Бельгии, поэтому знаю с чем сравнивать.